We provide installation services of handrails for your pool and/or spa. 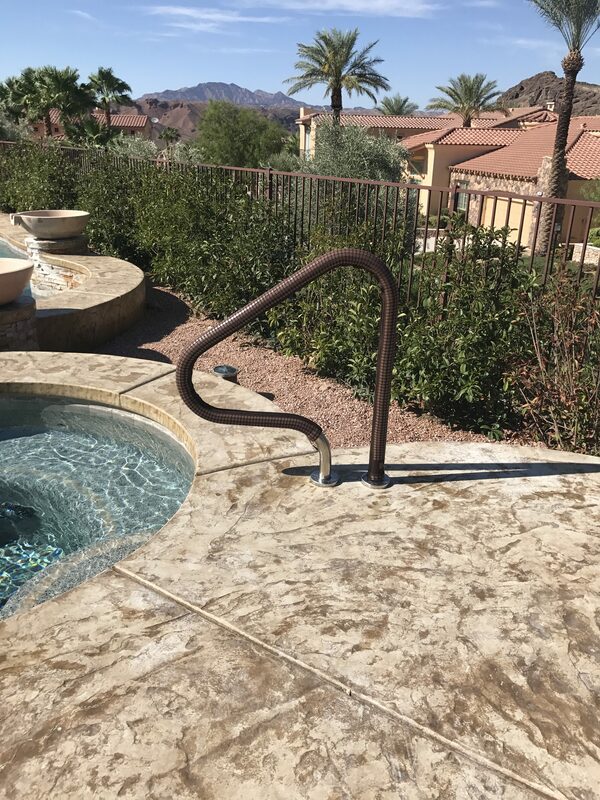 These handrails can be installed well after the pool has been finished. We will provide you with a sturdy and safe way to enter and exit your pool or spa. No need to risk falling down the steps late at night getting out of the spa. It’s better to have a safe way to enter and exit the pool or spa rather than a slip and fall. We can install a handrail to make that process much safer. The installation is normally done in one day. A simple and quick remedy to a possible pool related accident. Estimates are free and quick. Please contact us and we can get you set up with a nice new addition to you pool or spa instead of a slip and fall. Fill out all fields completely and we’ll have one of our experienced representatives contact you. 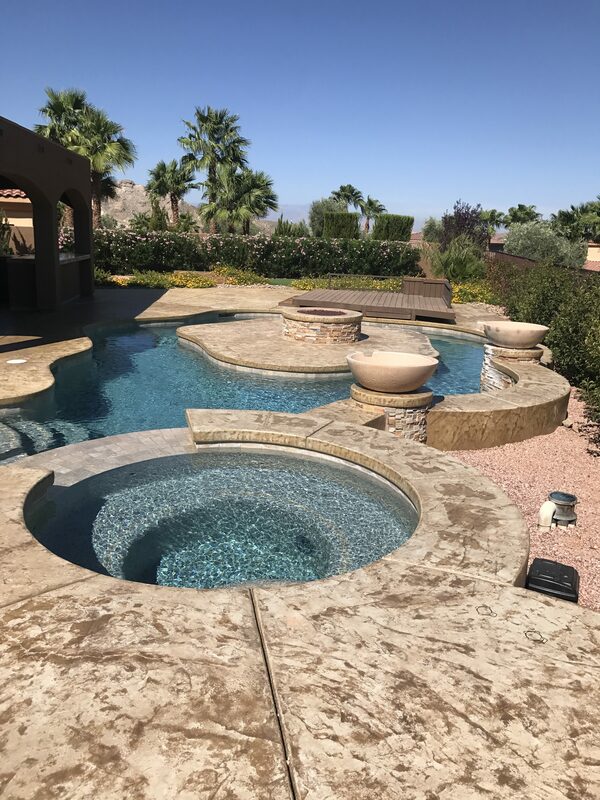 Since all pools varies in size and needs, we will send out an expert to evaluate your pool and provide you recommendations on services or repairs for FREE! We are a veteran owned and operated business. We are also a Better Business Bureau accredited business proudly serving the Las Vegas Valley. Copyright © 2019 Beat The Heat. All Rights Reserved.